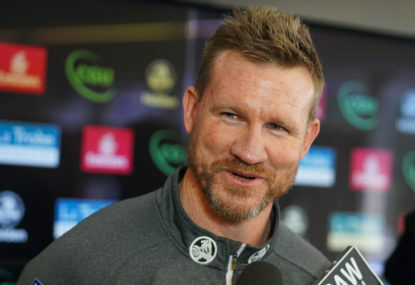 The Magpies have done a great job to put what looks like a strong team on the park this season, considering what happened to them in the off-season. The Pies didn’t get raided so much as strip-mined by BHP. Gone are most of their high-profile forward line, from Mo Hope to Jasmine Garner and Jess Duffin, plus arguably their second-best player in Christina Bernardi. As if that weren’t enough, Caitlyn Edwards left to pursue a rugby career, speedy midfielder Amelia Barden left for Carlton, and then in the worst blow of all, gun teenager and 2018 MVP Chloe Molloy injured her foot in the VFLW Preliminary Final and will miss the season. Given the way Collingwood’s first two seasons have gone, Pies fans could be forgiven for investing in salt baths and spell books for the breaking of curses. But all is not lost for the Pies. 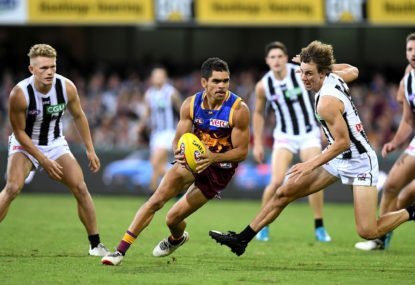 With all the players they lost, Collingwood were able to acquire a whole bunch of very juicy draft picks, and have stacked up on young talent accordingly. Starting with the midfield, their biggest remaining star, Jaimee Lambert, will now find herself with probably more talented midfield teammates than she’s had in her career (outside of exhibition games, naturally). Second-round pick Katie Lynch is a remarkable player, and represents the coming sea change in women’s football where not everyone over 5-8 need automatically play forward or back. Not only tall, she’s remarkably skilful, rarely missing a kick in many U18 championship games, and always seeming to get in the middle of the action. With Lynch and Lambert will be Mikala Cann, one of the fastest, strongest athletes in the draft and a tackling machine. A former basketballer, she can also jump, run, and do other good things. The Pies also still have Britt Bonnici, who had a very good second half of last season, and those four between them form the nucleus of a quality midfield. The Pies’ backline looks even better. Netballer Ash Brazil was a revelation in limited game time last season, and is nearly impossible to outmark. Nicole Hildebrand was one of Brisbane’s best defenders, and Stacey Livingston, Emma Grant and Stephanie Chiocci are all good. Best of all, the Pies have added junior star Jordyn Allen to their halfback line with their first draft pick, where her run and skills will link up with the revamped midfield to cause problems further up the ground. 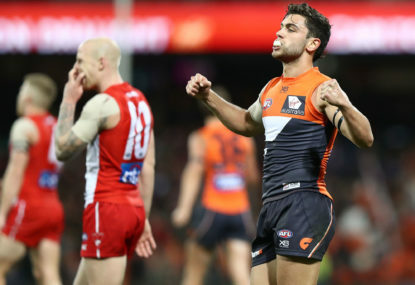 And then in the forward line… well. 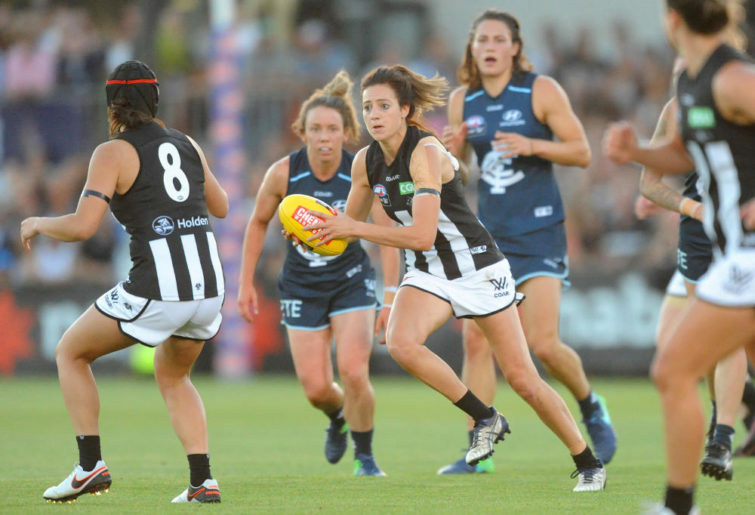 There’s former Demon Maddy Shevlin, and the always entertaining Sarah D’Arcy, but the fact remains that all the Pies’ most recognised forwards have traded black stripes for blue (or for Bernardi, whatever colour GWS call that jumper) and have not been replaced. It could have been so different if Molloy hadn’t been injured — prior to last year she’d been tearing up the TAC Cup in the forward line, and simple speculation was that if the Pies could find strong replacements for her in the backline, they’d swing Molloy forward and gain an unstoppable force in front of goals. 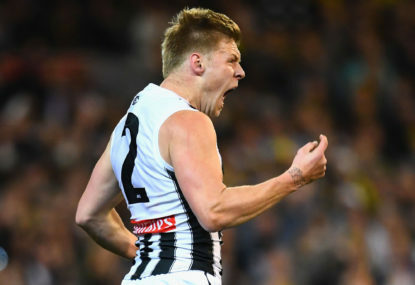 With the addition of Hildebrand and Allen, it would have worked perfectly – but alas, the Collingwood curse struck again, and so I’m predicting a seventh-place finish instead of fourth or third. 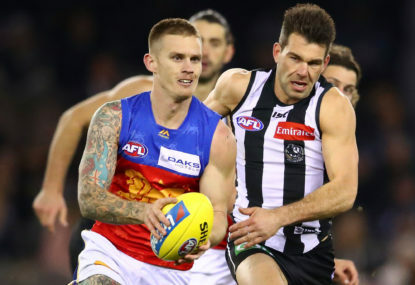 No doubt the Pies will look to the Bulldogs’ second season for inspiration of what to do when you’ve got a good midfield and a crushing backline, but no forwards. 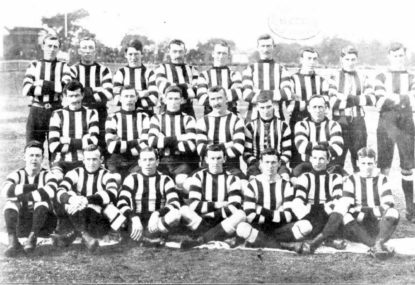 The Dogs did brilliantly converting smaller players into a mosquito fleet up forward, and Collingwood now have good defenders to spare, like Ilish Ross and last year’s second-round pick Darcy Guttridge, who missed the season with a broken collarbone (speaking of the Collingwood curse). And then there’s the wildcards, like star netball recruit Sharni Layton, but while stranger things have happened, it’s hard to imagine her becoming a key forward target in her very first year — just as AFLW midfields are improving, AFLW backlines are becoming very tough indeed, which will make life extremely tough for novice forwards of any athletic caliber. Reliably strong forward lines are somewhat rarer in the AFLW, as coaches have realised that when building a team’s foundation, backlines and midfields come first. Collingwood appear to now have the first two in place, but like many teams are lacking the third. Maybe next year. In addition to his interest in sport, Joel Shepherd is a professional Science Fiction author. You can find more of his work by clicking here. For years I have defended my beloved Magpies as anything but the uncouth, feral scum opposing fans insist they are.